Whoa, there… we’re glad you found us! The Draft Horse Connection was a quarterly Canadian publication dedicated to the preservation and promotion of the tradition of horse farming, The unique Canadian voice of this living tradition, it is published specifically for those who are interested in horse farming, work horses, history, acquiring new information about old skills or just plain connecting with others who share these interests, The Draft Horse Connection back issues are for you. In print since 1995, The Draft Horse Connection is chock-full of the kind of hard-to-find information that budding and experienced draft horse and horse farming men and women are seeking. I have had an incredible journey the past 18 years of producing and publishing Draft Horse Connection magazine. The folks I have met all across Canada, each and everyone of you have enriched and blessed my life in ways you will never know. I have had the privilege of exploring this beautiful country that we live in from coast to coast all because of you my subscribers and my friends. September 2013 I started another journey, which has been the most difficult one facing me. I had cancer. So I am very sad to say I will no longer be well enough to continue publishing Draft Horse Connection magazine. The magazine has been a passion for me to preserve our Canadian Heritage through our older teamster’s stories and as well I have been very dedicated in helping beginner teamsters find mentors and providing resources. Rare Breeds Canada publishes a magazine called Genesis. I feel this organization is a very compatible group who are keen on saving heritage farming practices. Draft Horse Connection will continue as part of Genesis, the magazine of Rare Breeds Canada. 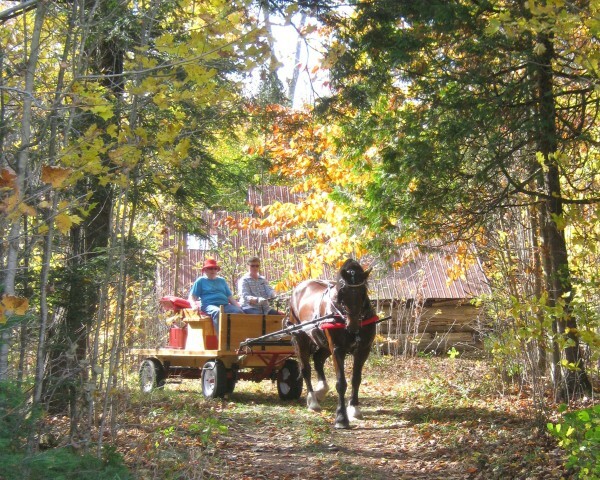 Draft Horse Connection subscribers became Rare Breeds Canada members. The name, Draft Horse Connection will remain the property of Ruth Freeman as all our DVDs are copyrighted under this name. DVDs will still be sold by Ruth Freeman. Draft Horse Connection’s website will still be up and running selling DVDs, fact sheets, back issues. Sample articles (click on a link at left) so you you can see what to expect from your subscription to The Draft Horse Connection. The Draft Horse Connection Country Store with useful and informative products for horse farmers and horse lovers. 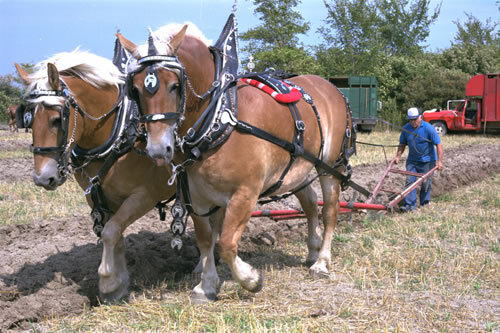 Draft horse and related links compiled by the editors and readers of the Draft Horse Connection. Classified listings for drafthorse and horse farming related products, events, equipment, workshops and more. The Draft Horse Connection Directory; information you simply can’t live without! Contact us to add your farm or service. Subscription and back issue order information so you can begin connecting with this unique community right away. Advertising rates and information for those interested in print and/or web advertising.